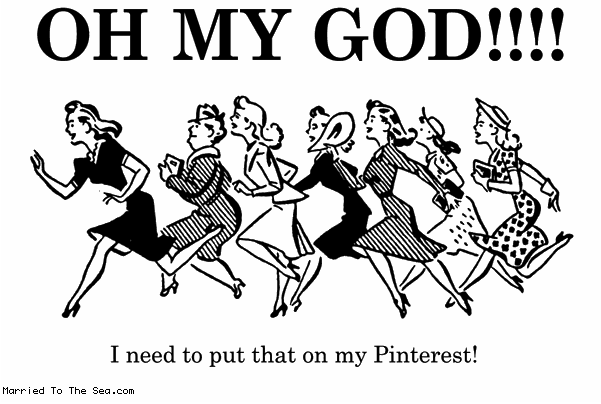 With over 10.4 million users on Pinterest, I guess it is about time I start blogging about it. Using a virtual “board”, individuals can collect images and videos of things they like on the web and organize them according to topic. When I first got engaged, of course I was excited, but then the thought of planning a wedding came crashing on my shoulders. I had never been part of a wedding party, I am the oldest cousin and the first among my friends to get married. Luckily, Pinterest showed up and I have been able to gather images of crafts, venues, decorations, food, dresses, and more to help me visualize my wedding. Like many others out there, I am a visual learner. It is much easier for me to piece together 100 images than to read 100 blog posts on tips to planning a wedding. However, Pinterest is not just for the wedding planner. Businesses across the world are using Pinterest to connect with their audience on a new level, a visual level. Samuel Gordon Jewelers used Pinterest to run a contest where their customers could win one of their products by “pinning” their favourite jewelry. Because Pinterest also allows you to share your pins via Facebook and Twitter, the contest went viral. Wedding Republic has over 20 boards for wedding planners. Boards include: Wedding registry ideas, DYI tips, wedding cakes and food, wedding accessories, flowers, infographics, etc. Each board is laid out with a simple theme and all the pins follow that theme. The majority of businesses on Pinterest have something visual to sell, be it clothes, jewelry, food, etc. But, we are seeing more and more businesses use Pinterest in unique ways to connect with their audience. Just like Boston University’s College of Communication who created a Pinterest account where they showcase work from their photojournalism students, advertising students, TV and film students and more. They even created a board called COMLife, where they showcase residence life through videos and images. This entry was posted in PR Word of the Week and tagged pinterest, PR Word of the Week, PRwordoftheweek by Kristine D'Arbelles. Bookmark the permalink. HAHA That made my day! I love Pinterest too. I have actually started exploring Pinterest beyond the wedding planning. I am now pinning recipes, home and garden renovation ideas and even social media and public relations/communications infographics. It is my new obsession!